I’m already quite familiar with these cars. 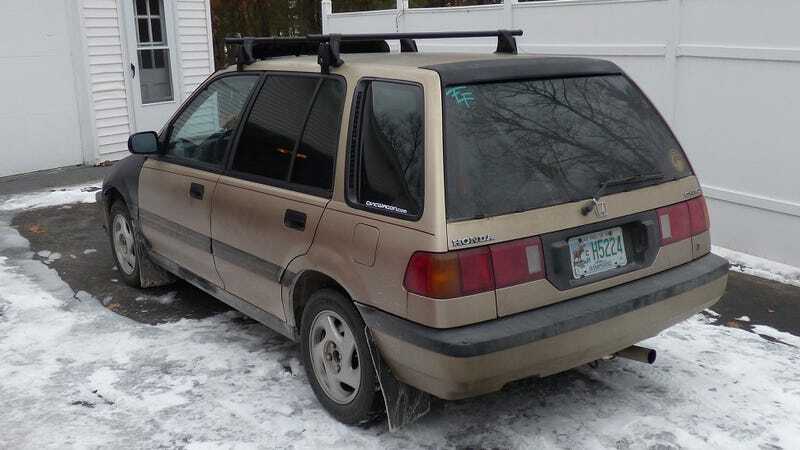 Before Wagon Attack made the Civic wagon as cool as the Doctor’s bow tie, I owned two of them myself - a 1991 front wheel drive model with a 5-speed, and an automatic 1989 with Real Time 4 Wheel Drive. I was a regular on the Civic wagon forum. These cars are pretty rare now, but I just had a chance to take a trip down memory lane with Justin Abide’s 1988 RT4WD wagon. His is equipped with a 6-speed manual transmission. Yes, a 6-speed in a 1988 Civic! Like the Porsche 959, its lowest gear is below 1st, about 75% lower. I always thought SL gear (Super Low) was much lower than that, emulating low range in a true four wheel drive vehicle with a transfer case, but that’s not true in the Civic. For normal driving, the top five gears are fine.